Pachmayr 31-Piece Gunsmith Tool Kit / Bit Set | BUDK.com - Knives & Swords At The Lowest Prices! Giving your beloved rifle, shotgun or handgun the love and care it deserves via regular maintenance and prompt repairs doesn't have to require wrestling with an overflowing toolbox or digging through bit and socket-filled jars just to find obscure firearm-specific screwdriver heads. 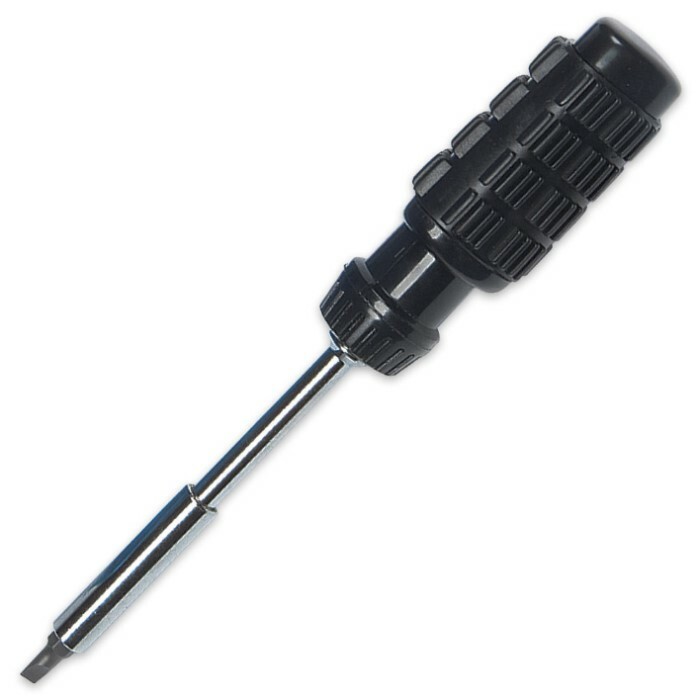 Custom designed especially for gunsmiths and gun owners, the Pachmayr 31-Piece Screwdriver Set boasts the best collection of bits for firearm repair and upkeep on the market today, all in one convenient, amazingly affordable kit! 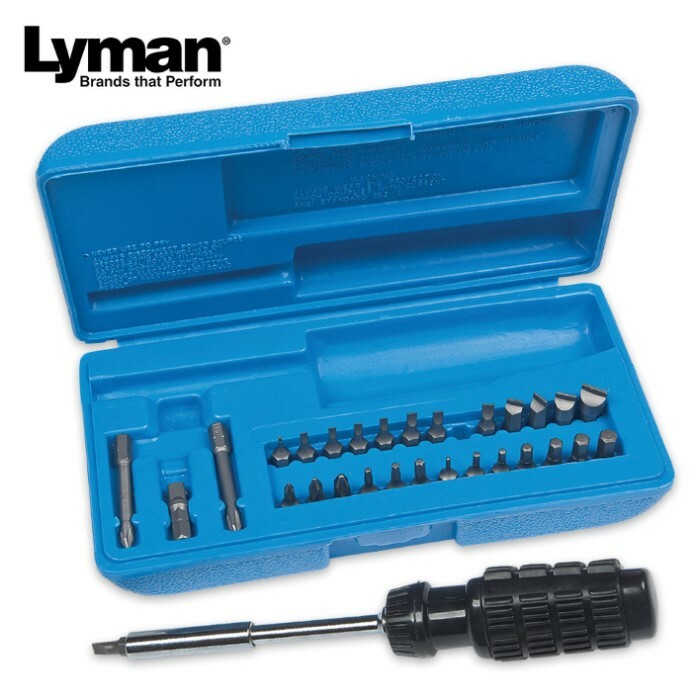 Assembled by the firearm maintenance experts at Lyman Tools, the versatile kit features gunsmith-slotted bits for action screws, hex bits to fit new scope mounting screws, a 1/4" socket adapter and assorted Phillips bits, including special extended Phillips bits for buttplate and recoil pad removal. The included durable stainless steel handle resists corrosion, and the rugged ergonomic grip helps reduce wrist fatigue and strain. Compact and easy to carry, the entire set fits securely inside a heavy duty molded case with a convenient handle. 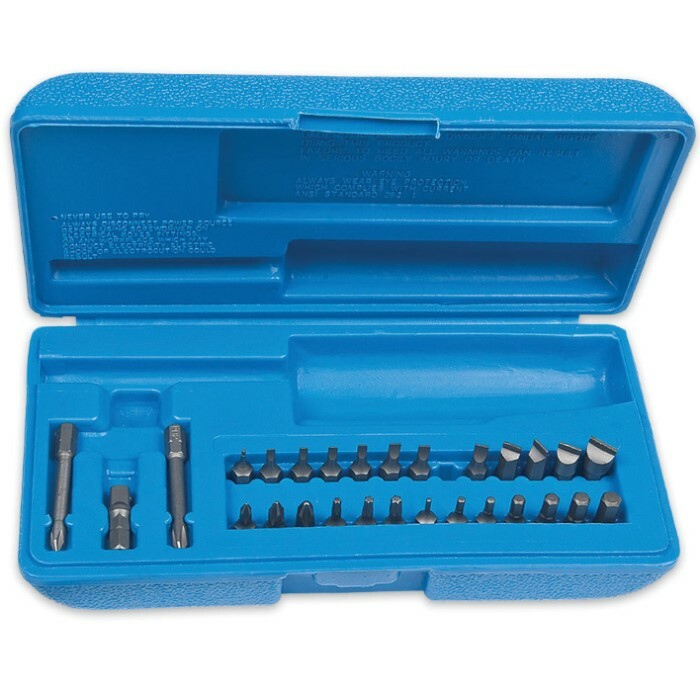 Pachmayr's 31-Piece Gunsmith Tool Kit is a must-have for any serious shooter and makes a fantastic gift for any firearm owner in your life on any occasion - Father's Day, Mother's Day, birthdays, Christmas or simply "anytime!" You won't find a lower price on this valuable kit anywhere else, so order today!